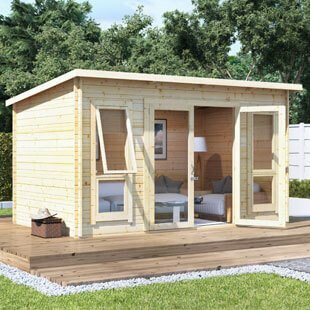 Did you know that it’s possible to cut out your monthly expenses by having an outdoor log cabin of your own? 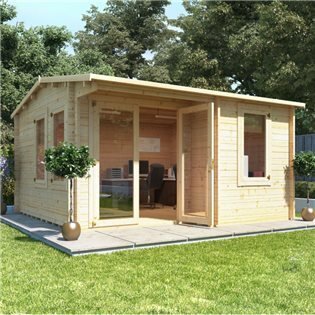 For instance, it’s attainable by transforming the log cabin into a home office. This is ideal for those who wish to work from home. Instead of paying a huge monthly rent and travelling from home, you can now work just a few steps away from home. 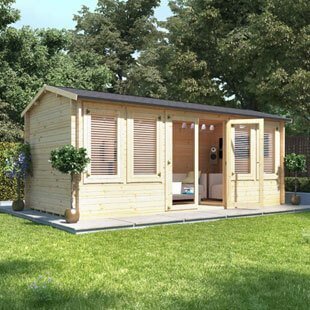 A log cabin can also be transformed into garden log cabins, summerhouses, sheds, playhouses, your personal gym space or a workshop for you and your family! 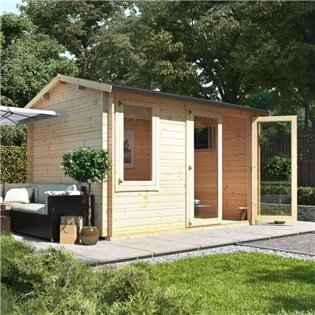 Our log cabins collection will be the highlight of your garden. For many of us, achieving our dreams of having an additional room to our house is impossible as the installation of an extension is not feasible. Therefore, to compromise, a log cabin could be the ideal solution. 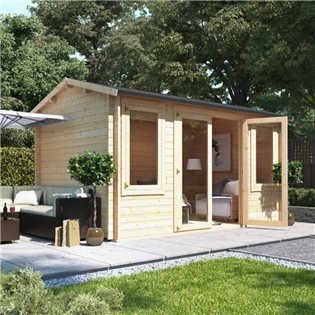 High-quality garden log cabins could be the easiest way to become the owner of that additional luxurious home office, gym, or simply a new room where you can relax and enjoy your spare time. 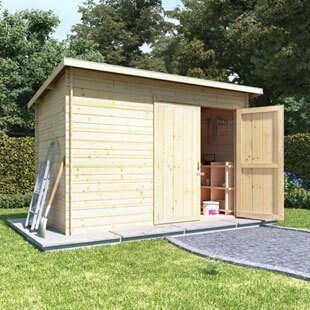 Similar to wooden sheds and plastic sheds, log cabins could become the ideal place to store your belongings. 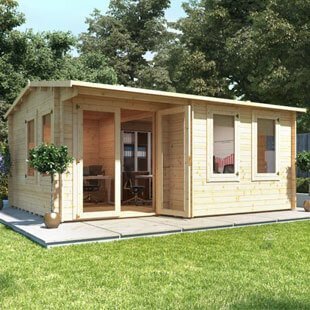 One of the many ways you could use a log cabin as a log cabin shed is by using it to store your essential garden items such as a lawn mower, a spade and more. 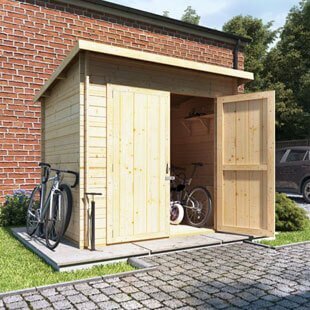 And, if you opt for double doors you can be sure you are able to easily move your things in and out of the outdoor building. This is likely to be more difficult if you opt for single doors, as space will be limited. 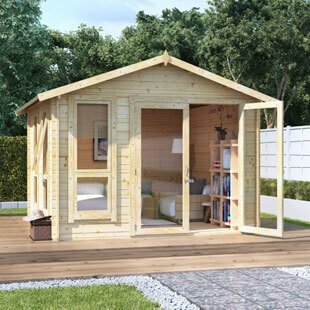 But either will be sufficient to use as a log cabin shed as you can securely lock the doors to be reassured that your things are safe. 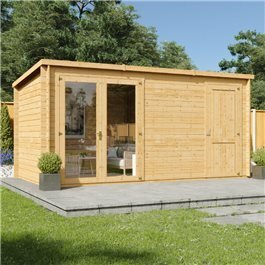 Furthermore, some of our log cabins make use of tongue and groove cladding which is both solid and interlocking. To sum up, this is where a short tongue is cut on edge of the timber, this then joins to a corresponding groove running along the length of the timber. The advantages of this method of construction are that it makes for a building that is both strong and durable. It will also ensure the building is protected against the elements, as there is no gap in between each siding. Therefore meaning rain, snow and hail are unlikely to make their way into the building. 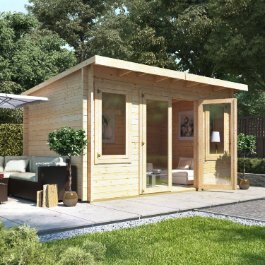 Log cabins can be used for a number of reasons. 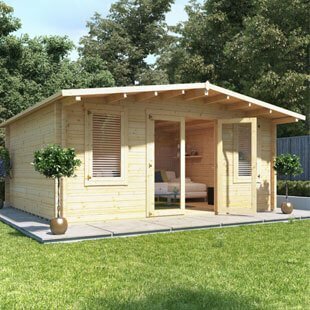 Therefore to facilitate this, we offer a range of log cabins built for different purposes. For instance, log cabin playhouses. 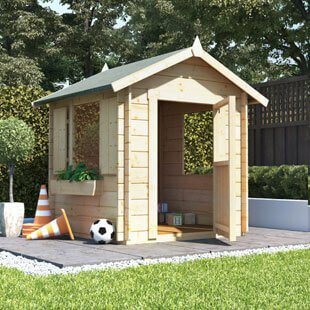 A wooden playhouse designed with the features of a log cabin can make for unique and impressive playhouses for the kids. They can easily be turned into pretend homes, dens, or even as a cosy space for sleepovers to happen. 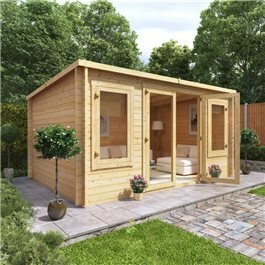 Alternatively, to gain the appeal of a summerhouse with the high-quality features of a log cabin we offer log cabin summerhouses. 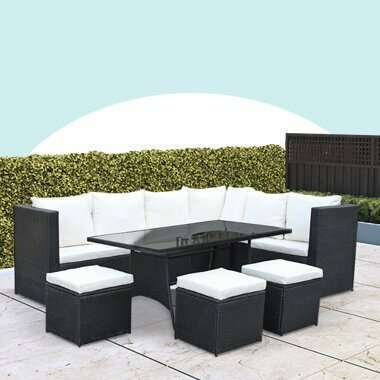 These can leave you with a space that is perfect for relaxing, storing garden tools and working from home.